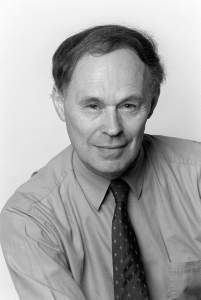 Nicholas Wade was a leading New York Times science writer for three decades. He left the paper weeks after the May publication of his book, A Troublesome Inheritance: Genes, Race and Human History, a book many reviewers say is a full-throated defense of “scientific racism.” Wade’s views raise questions about his tenure at the Times, and about corporate media vigilance on coverage of racism. There are many reasons media fail to adequately challenge racism, particularly racism in high places (FAIR Blog, 6/27/14). But one rarely discussed reason is that some highly placed corporate media figures are open to racism. I documented this a while back in Extra! (4/05), after New York Times columnists David Brooks (12/7/04) and John Tierney (10/24/04) approvingly cited the work of Steve Sailer, a central figure in the promotion of racist and anti-immigrant theories. Did Brooks understand his source’s views? A look at the American Conservative article (12/20/04) that Brooks presumably read, since he cited it, ought to have raised the suspicions of an engaged columnist. In it, Sailer describes the undesirable urban traits he says white people are trying to escape: “illegal immigrants and other poor minorities,” “ghetto hellions” and “public schools.” Are these the things Brooks meant when he alluded to “disorder, vulgarity and danger” and “bad influences” in his Times column? In 1994, when Richard Herrnstein and Charles Murray published The Bell Curve, a book espousing the so-called “academic racist” theories that black people are inherently less intelligent and more prone to crime than whites or Asians, the New York Times Book Review (10/16/94) published a fawning, credulous review by Times science reporter Malcolm Browne. In fact, the idea that some races are inherently inferior to others is the definition of racism. What the New Republic was saying–along with other media outlets that prominently and respectfully considered the thesis of Charles Murray and the late Richard Herrnstein’s book–is that racism is a respectable intellectual position, and has a legitimate place in the national debate on race. Even outlets that praised The Bell Curve balked at Nicholas Wade’s genetic determinism. It goes without saying that right-wing outlets like the National Review, long steeped in bogus IQ science, biological determinism and plain old racism,were thrilled by the Bell Curve, dedicating most of an issue to the book (12/5/94), including an approving piece by Arthur Jensen, one of the patriarchs of scientific racism and one of the sources Murray had seen fit to hide from public view. To bring us up to date, in his recent book, A Troublesome Inheritance, long-time New York Times science writer Nicholas Wade comes fully out of the closet as an adherent of academic racism. Populations that live at high altitudes, like Tibetans, represent another adaptation to extreme environments. The adaptation of Jews to capitalism is another such evolutionary process. Even more remarkably, Wade manages to write a summary of American eugenics that completely neglects to mention the Pioneer Fund. Founded by Nazi sympathizers in 1937, the Pioneer Fund was, and continues to be, the chief source of financial support for eugenic research in the postwar period. One cannot help but wonder if this omission is related to the fact that Wade approvingly cites Pioneer grantees like Arthur Jensen, and relies heavily on the work of the Fund’s current president, Richard Lynn, for data on the low IQs of black populations worldwide. At times, his theorizing is merely puzzling, as when he notes that the gene variant that gives East Asians dry earwax also produces less body odor, which would have been attractive “among people spending many months in confined spaces to escape the cold.” No explanation of why ancient Europeans, presumably cooped up just as much, didn’t also develop this trait. Later, he speculates that thick hair and small breasts evolved in Asian women because they may have been “much admired by Asian men.” And why, you might ask, did Asian men alone prefer these traits? The New Republic, which gushed over Herrnstein and Murray’s book, called Wade’s “racist” and its arguments “stupid” (5/25/14), shooting holes in its scientific rigor and unsupported assumptions. Perhaps a different editor and the fact that the piece was a reprint from the leftish UK magazine New Statesman made the difference, but the New Republic seems to have changed its mind about scientific racism. Nicholas Wade is an inveterate gene-for-X enthusiast–he’s got 68 stories in the NYT index with “gene” in the headline–and he’s had two opportunities to celebrate this idea in the past few days: “Speech Gene Shows Its Bossy Nature”, 11/12/2009, and “The Evolution of the God Gene”, 11/14/2009. But one might just as well ask why can’t Buffalo, New York, take out a loan and become as rich (per capita) as New York City. Or, for that matter, why can’t Portugal become as rich as Denmark? After all, Portuguese are Caucasians too! One could of course invoke a racial explanation for Portugal’s relative poverty, but Wade in his book generally refers to Europe or “the West” as a single unit. My point here is not that Haitians, Portuguese and Danes are equivalent–obviously they differ in wealth, infrastructure, human capital and so forth–but that it is not at all clear that genetic differences have much of anything to do with their different economic positions. Wade’s book has been well-received by traditional racist outlets, includingVDARE.com (3/14/14), where former National Review writer John Derbyshire weighed in with “heartfelt” praise; and former National Reviewcontributor Steve Sailer published a positive review in Taki’s Magazine (4/30/14.) (Taki’s seems to be where old bigots go when their racism takes too gauche a turn for the National Review.) Derbyshire’s and Sailer’s mutual friend Jared Taylor, who once told me he considered himself a “white separatist,” wrote his own fawning review on his American Renaissancewebsite (3/2/14). All the more reason to treasure Nicholas Wade, longtime science reporter at the Times. Wade belongs to the older tradition of science writer. Yes, a tradition going back more than a century, as Derbyshire clarifies: “In his articles on genetics, he has distinguished himself for at least the past dozen years by writing frankly about biological race differences.” In Taki’s, Sailer praises Wade’s Times work, including a Times editorial (6/15/11) blasting the late paleontologist and bête noire of racial pseudoscience, Stephen Jay Gould, for, of all things, scientific bias. Wade wrote his last piece for the Times on May 27, three weeks after his book was released. It’s striking that in all those years that the racist right was admiring Wade’s work, the Times either didn’t notice or didn’t care.